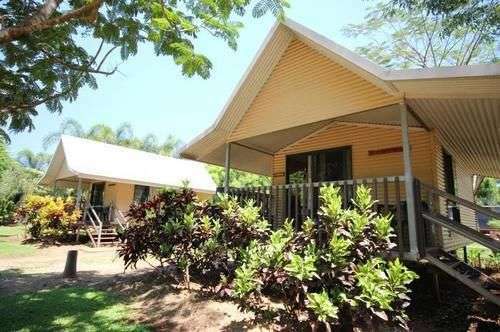 Looking for a true top end experience? 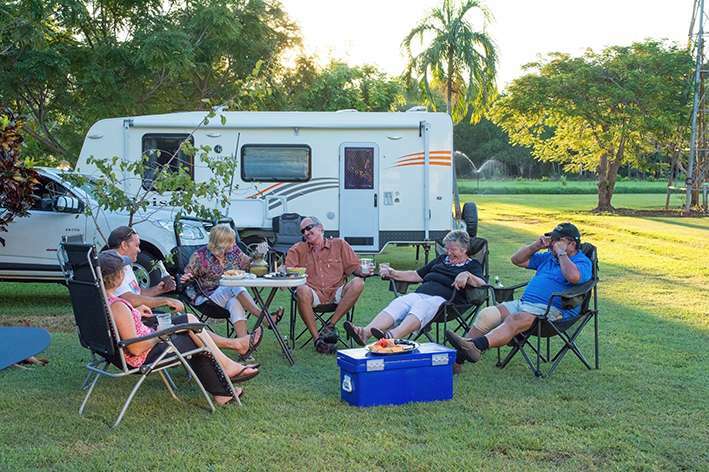 Welcome to Litchfield Tourist Park – a great base for your Litchfield National Park adventure. This is cattle country where the Upper Finnis River flows through our backyard, cattle and horses roam freely over our back fence, and where native birds and wildlife make their home. 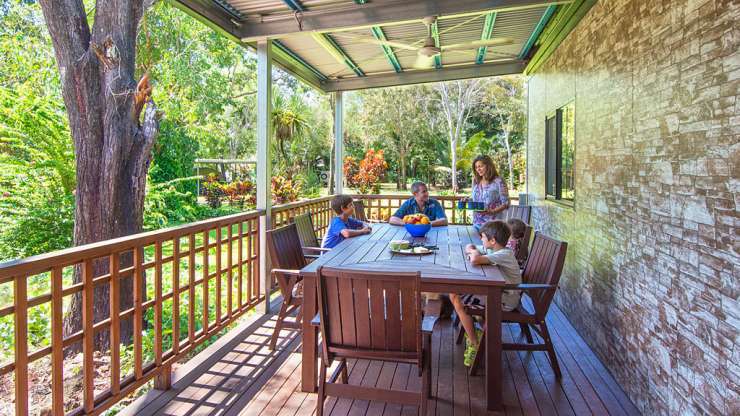 Stop for a quick snack or stay for a few days and soak in the landscaped gardens, natural bushland and tranquil surrounds. 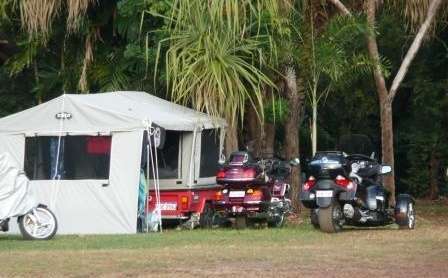 We are the closest Park to the entrance of Litchfield National Park making us the ideal base for exploring the Magnetic Termite Mounds, Buley Rockhole, Florence Falls, The Lost City and countless other attractions. 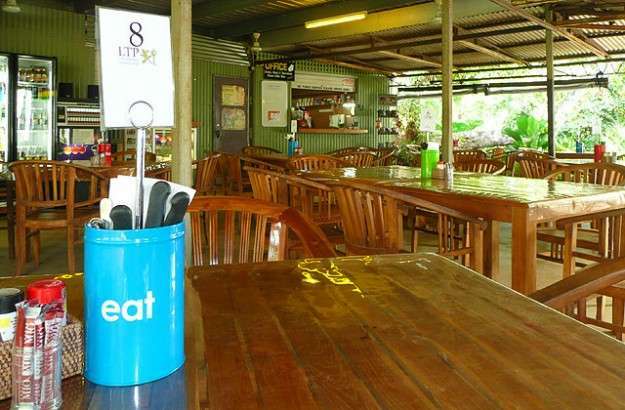 We are also the last stop for comforts such as 24 hour town electricity, airconditioned cabins, meals, snacks, icecreams and drinks before entering Litchfield National Park. 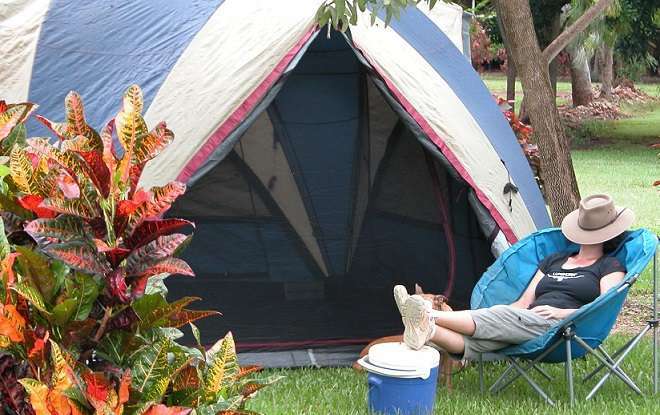 We have a range of accommodation options to suit your style and budget. 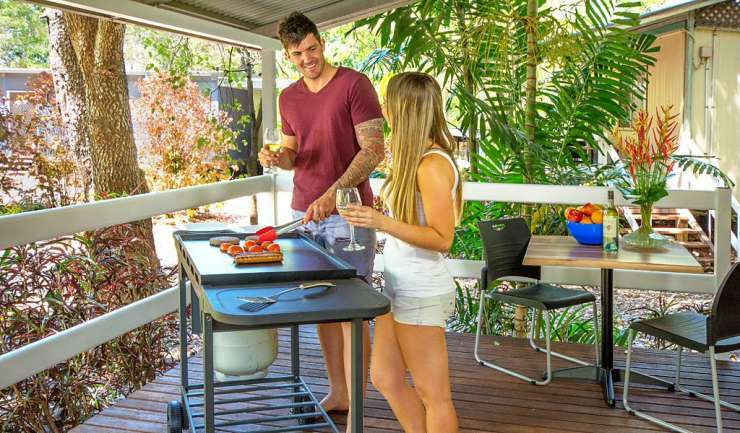 Enjoy the landscaped surrounds and relaxed atmosphere of Litchfield Tourist Park.......... At the bar ask for information on Litchfield National Park and the local area and services. You can purchase home-made cakes, hot and cold drinks, icecream, snacks, toiletries and other essential items. Our café serves simple food which is simply delicious. We offer hearty breakfasts to start the day and a large variety of options for lunch. We have a reputation for big, tasty burgers. Try the best Hamburgers in town or, for the adventurous you can choose from Crocodile, Buffalo or Barramundi Burgers. Our kitchen is open from 8am to 3pm daily to the public. An early dinner service is available for in-house guests, 5 nights per week from April to September. Evening bookings essential.......... Guests can enjoy our free barbecue area. There are a couple of gas burners, a barbecue, microwave, sink and fridges for your use. There are no pots, pans or crockery etc though, so you will need to bring your own. 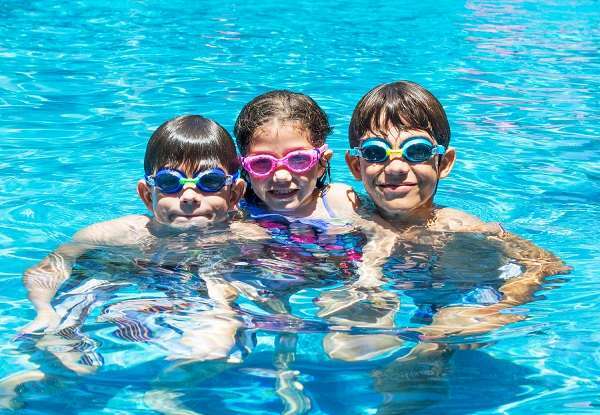 There is also a swimming pool to cool down at the end of the day and laundry facilities and clothes lines are available.